Cheers to the 21st Ammendment! In case you didn't already know, it's the one that repealed the 18th Ammendment to the Constitution, which prohibited the "manufacture, sale or transport of intoxicating liquors" in the US from January 16, 1919 until December 15, 1933. During this time, bootlegging became big business and various individuals and businesses found creative ways to hide their booze. The era became the stuff of legends and fantasies, many of us imagining smoky speakeasies with glamorous women, suave gangsters and doe-eyed jazz singers crooning away. Truth is, many speakeasies were seedy places, lots of drinking was done at people's homes, and much of the alcohol consumed was badly made and tasted awful (which made it necessary to mix it with sweeter substances). We have this era to thank for many of the cocktails we consume today. 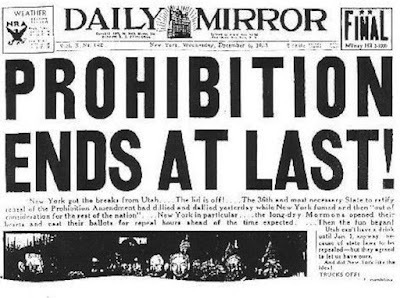 Since Repeal Day falls on a Saturday this year, why not throw a Prohibition style party at home with a modern twist? 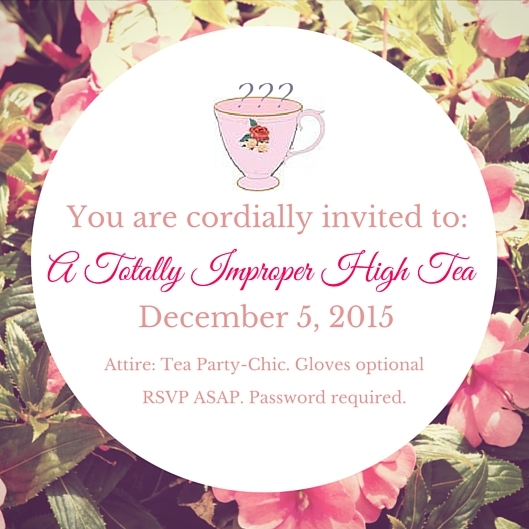 Start with a fun invitation... but make sure there's no mention of cocktails or drinks. Here's a mock one we made in less than 20 minutes. Instead of requiring a full-out 20s or 30s-themed outfit, ask your guests to come dressed for a modern high tea (because during Prohibition, tea cups often served as clandestine cocktail glasses). Also, instead of mixing individual cocktails, prep a big batch ahead of time, or... use Studebaker Cocktails pre-mixed Manhattan (Canadian whisky, sweet vermouth, bitters & maraschino cherry) or Old Fashioned (Canadian whisky, bitters, lemon, cherry, orange, simple syrup). We suggest pouring some of each into a decanter, pitcher or teapot with ice right as guests start to arrive. 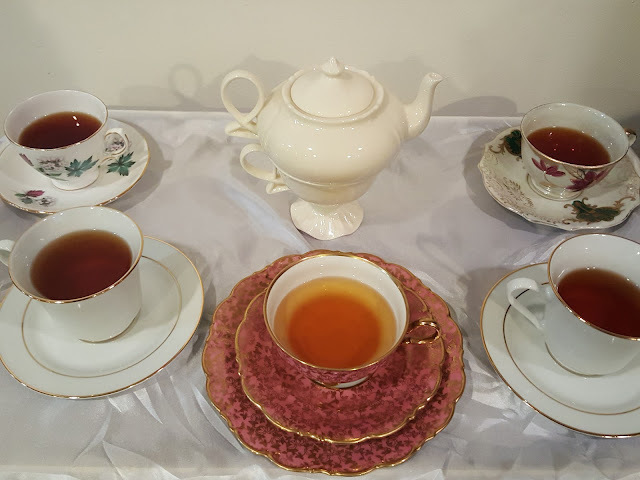 Just for kicks, offer each guest a cup of "tea" upon arrival. You can use your finest China, but we actually prefer the option of thrifted mix and match sets like these provided by our editor, StyleScrybe. It'll be a hoot to see their faces when they realize they're actually sipping a tasty Manhattan or Old Fashioned instead of Earl Gray or Oolong (high tea indeed!). It's up to you whether you admit to using pre-mixed cocktails from a bottle or allow your friends to think you actually measured out and stirred batches of cocktails. Studebaker Cocktails tend to taste a bit more subdued than freshly-made ones, which is great for those who prefer cocktails that are less spirit-forward. However, please remember that they're 60 proof and will definitely sneak up on you after enough sips. Additionally, after you've had your switcheroo giggles, please garnish the Old Fashioned with an orange slice and the Manhattan with a brandied cherry. 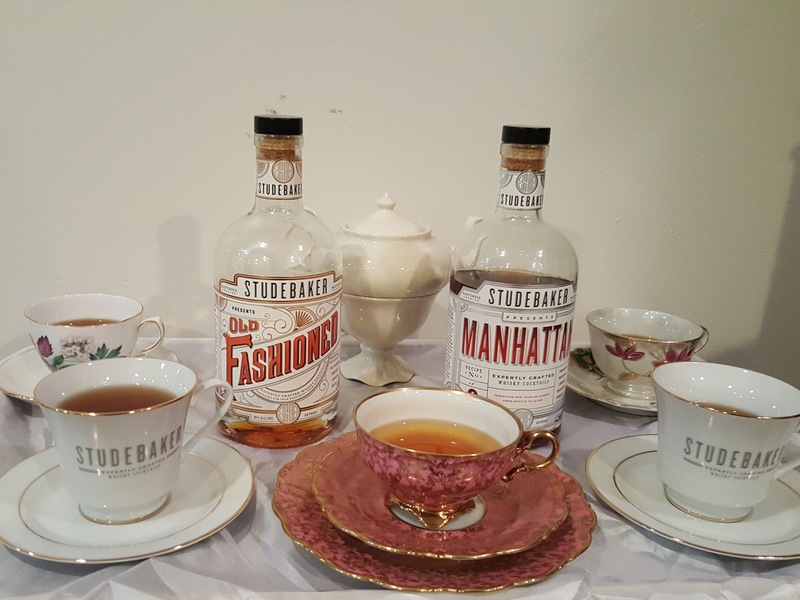 Oh, how adorable are the branded Studebaker tea sets??? **Disclosure: Shoes N Booze is working in partnership with thebar.com brand and is receiving rewards for participation in this campaign. All thoughts/opinions are 100% our own. This information is intended for those for whom alcohol is legal and appropriate. Please Drink Responsibly!